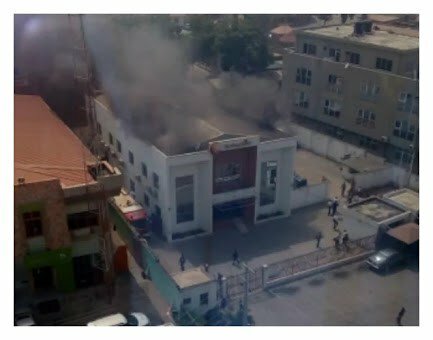 On Wednesday, a mob set two banks on fire in Apapa Lagos. 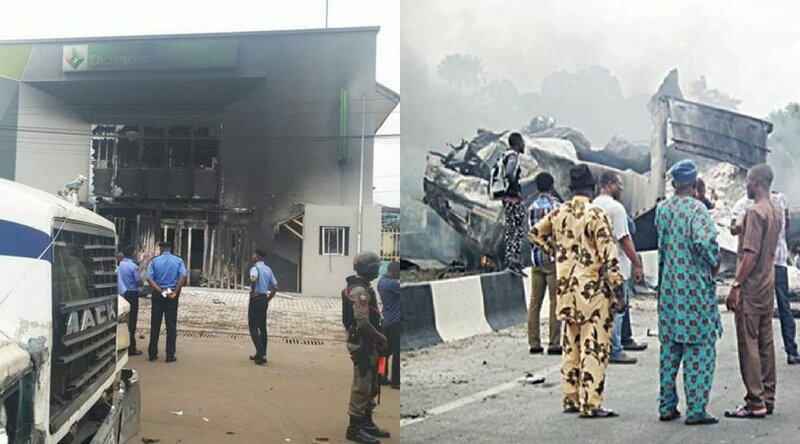 Trouble started after a police man was accused of shooting some tanker drivers and running into Diamond Bank for refuge. 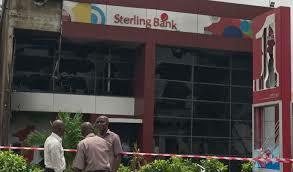 Mayhem was unleashed and properties worth millions of Naira were destroyed. 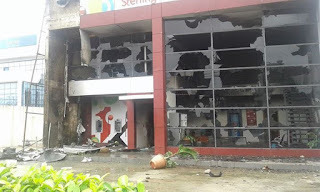 Here are some photos of the ruins in the aftermath of the riot.